It is true now as it has been for years that cashflow is king if you want to enjoy a happy life in retirement. 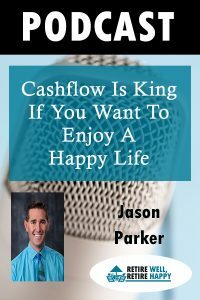 Jason Parker, the best-selling author and host of Sound Retirement Radio, has the tools and advice to make that money last. As the president of a wealth management firm that specializes in retirement, Jason Parker has had the opportunity to meet with hundreds of people and help them on this very important journey into and through retirement. Retirement planning according to Jason is all about your cashflow and not about your networth. It is more important how much income your investments and pensions can generate to live on as opposed to how much land you own. Owning an expensive house may be a way to pass on wealth to the next generation but it does not generate cashflow to feed you day to day. There is a fear of making an irreversible mistake. 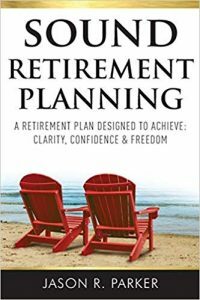 The Sound Retirement Planning book gives you a system for getting the very most out of your retirement and helping you to implement a plan to achieve. This will give you clarity, confidence and freedom. 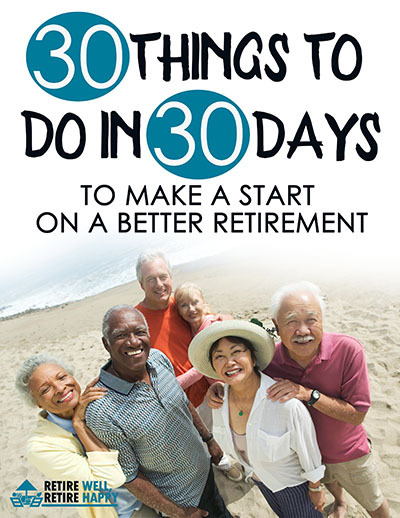 Jason has the tools that will appeal to the do it yourself investor (DIY) to start you on the right path to achieving financial freedom in retirement. The Retirement Budget Calculator is an easy to use online monthly budgeting calculator that will help you plan a realistic budget for retirement. This protects all of your hard work and gives you an honest look at your expenses. Remember cashflow is king. It is not just about what you earn it is also about what you save and spend. Have a listen to the episode where Jason Parker shares his insights into retirement planning. Have you listened to the last episode of Retire Well Retire Happy?